JoAnne Mina was a charter partner of Faith Ministries World Outreach Center, Kansas City, Missouri, with her husband, Naphtali. She passed away July 30, 2007, at Menorah Medical Center after complications with cancer. She was the dear mother of Denise Capra, co-pastor at FMWOC, on leadership team of FMIN. JoAnne was the owner of J. M. Neil & Associates, Inc., a staffing company that grew to hundreds of employees around the country. She was a successful entrepreneur, renowned for her business acumen. Her recognitions include: American Business Women's Association, National Association of Personnel Consultants, National Association of Temporary Services, Kansas City Chamber of Commerce, Women Impacting Public Policy, National Association of Women Business Owners, Women's Business Enterprise Professional, and in 1999, received the Small Business Person of the Year. JoAnnne was recognized by the Greater Kansas City Chamber of Commerce as a Top 10 Business Leader in 2004 and also in 2007. In 2007 she was awarded the Dorothy M. Brothers Scholarship from the Women's Business Enterprise National Council. 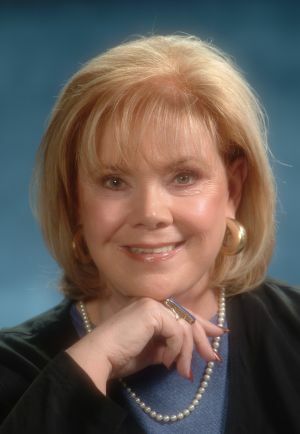 From 1977 to 1985, JoAnne was the producer and executive coordinator of "Something Beautiful," a daily, nationally syndicated television talk show, shown on CBN, now the Family Channel. She is survived by her husband, Naphtali Mina; daughters Denise Capra and husband Dennis; Colleen Ellis and husband Mark; son Brad Ross and wife Arasely. She leaves eight grandchildren: Neil Capra and wife Paola; Alison Capra-Moyer and husband Darren; Johnna, Mark II, Julia and Dakota Ellis; Anna and Bradford Ross Jr.; and great-grandchild Maliyah Arteaga-Capra of Chicago,Ill. Services were held at Faith Ministries at 12222 Blue Ridge Extension, Grandview, Missouri, on August 1, 2007. Her family asks gifts be directed to a fund through Faith Ministries -"JoAnne Mina World Missions." Denise Capra remembers her mother: "She was such a great woman. I have the greatest love, devotion, admiration and respect for her. She is reason that Dennis and I are serving God today! She faithfully prayed for us, and trusted Gods promises! She discipled us, modeled so many responsible qualities and has always been so supportive of us. She had so much wisdom from God and was a woman of faith. She was one of the most generous people I have ever met! I look forward to celebrating with her forever!" From Kenya with Great Admiration,though I did know you personaly but praise God for releasing to Him your very best and treasured gift KNOW THAT YOU CANNOT OUT GIVE GOD HE WILL DO EXCEEDINGLY ABOVE WHAT YOU THINK. We love you and are holding you up in prayers. JoAnne was such an interesting and unusual woman. A great, strong personality. She wielded her gift of Employing People with God's grace, one minute you could feel either desperate or nervous regarding a job or your financial possibilities & the next you are lifted to the job that will take you on your way, always with little fanfare, but great anointing. I love watching people like JoAnne in action. I know there are hundreds of people she has helped over the years. A couple of my own stories: I told JoAnne we needed more income coming in & at the same time I had a desire to go to England. Within 2 calls she had a plan for me to accomplish my goals. Then when I returned & found I needed something more permanent she casually mentioned she had a doctor friend who was looking for some help to get a business going & that I should go see him. (I had been looking for work on my own for 7 months). Within 2 weeks I had the keys & codes to the office & within 2 months I was Chief Operations Officer. It was THE job God wanted for me, for this season of my life. I had felt frustrated at going back in the work force rather than doing more ministry, when with one casual (or prophetic) mention from JoAnne I was doing a job that: sharpened my administrative skills, became a ministry to 100's of patients & a discipleship program for the growing staff, also allowing me to give more to other ministries then I ever thought possible. JoAnne encouraged many people (including me) to pray for & ultimately have their hearts "knit together" with the Jewish people. I wanted to go to Israel last November but my husband was afraid for me to. I hadn't really said much to anybody about it. But one Sunday I was walking through church and she grabbed & held onto my hand and said, "if you really want to go to Israel, your husband will change his mind." That evening my husband took me out to dinner & told me he believed if God wanted me to go that I should. These times with JoAnne & watching her courage & commitment till her last breath to the destiny God had called her to altered the course of my life, & have impacted me forever. No one ever feels they have "attained" to that that they were called to do, but watching JoAnne- who modeled & mentored, being a fierce advocate for the underdog, as well as being hard working, disciplined & faithful to hone & use her God given gifts, showed me one life lived with & for God can change multitudes. Thank you JoAnne! JoAnne was a classy lady that helped so many people and who left an impacting legacy on the Kingdom of God. Her memory will be cherished by many. I am so glad I was one of the fortunate people to get to meet her.